Well it’s even colder out today then it was yesterday but made it work. How did everyone spend their day? Most everyone who knows me knows I’m not up on all the fashion lingo nor do I normally follow anything fashion unless it’s to look at the crazy outfits the designers are coming up with. 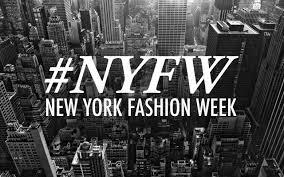 One reason is because the models that strut their stuff down the catwalk are made up in such away that I feel their humanity is taken out of them. When I look at most pictures from runways and try to look in to a model’s eyes I don’t see much. No spark, no life, just some flat look that gets them down the runway and back again without falling. This year when looking at the pictures there is still a fair number of void looking models but I’m noticing more diversity. 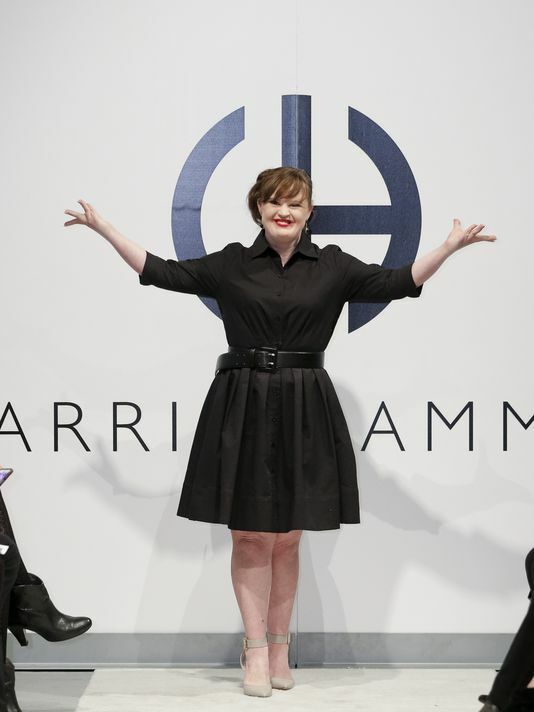 This year a designer by the name of Carrie Hammer (http://www.carriehammer.com/) choose an actress by the name of Jamie Brewer to model one of her pretty awesome dresses. What’s special about Jamie is that she is not a model, she is however a role model for girls, not only is she an actress on FX series American Horror Story, but she also was born with Down Syndrome (http://en.wikipedia.org/wiki/Down_syndrome). 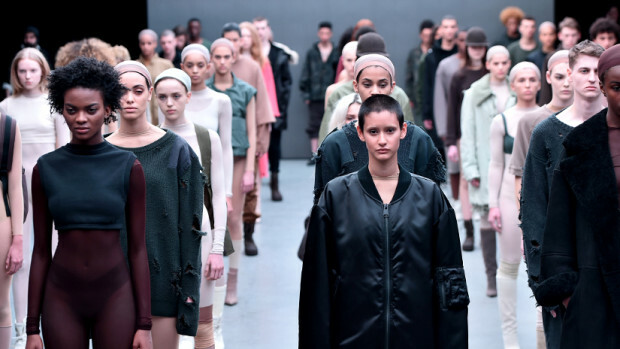 This is such a huge leap and major win for getting the fashion industry to embrace differences. We all know not every woman is as tall as a tree and as skinny as a twig, nor do most woman wish to look like this. It’s great that Jamie who is a well known actress to be able to go out their and with poise and more confidence than I would have walk down the catwalk as loads of people watch and snap pictures. I also saw a story in which (and it pains me to do this) I have to give a shout out to Kanye West who used a total of 50 vastly different individuals to model shoes. I’m SO not a fan of Kanye West however if it was his idea to have 50 people of all walks of life up the way he did, he can’t be all bad. Now lets look at some of the really crazy fashions that I could find pictures of shall we…. So the above picture is from Calvin Klein’s spring collection. The blue number on the far left I don’t have any issues with. However the middle onesie with some crazy leg flare is not something I would EVER wear…who would? I know most of the things that are produced for these fashion shows never get worn but I always find myself scratching my head wondering what the heck they were thinking. What caught my attention in this picture is the red leather dress on the far right, it reminded me of what a fictional group of woman would wear. From Terry Goodkind’s Sword of truth books there are these woman called Mord Sith who wear tight red leather outfits and anytime I see red leather ALWAYS think back to the books. If you want to see what I’m talking about just google “Mord Sith outfit”. Well here is something interesting….I believe the designer(s) are called The Blondes…although I can’t fathom why.. LOL Well looks like they make all their models wear that ridiculous big blonde braid. I’m thinking these models are showing off bathing suits but it’s hard to get past that hair extension/wig. I hope that as we continue to embrace differences we see even more diversity. With models becoming more appropriate role models for the younger generation, where more young kids can identify with them instead of trying to be them. I await the day when either a man or woman with a facial difference gets to be included. ← When it’s this cold, think, spring!